We’re here to help answer your questions. Trouble with stubborn stains? Want to know about our latest specials or when you can schedule a cleaning? Just use this quick and easy form to get started! At Chem-Dry of Columbia, our mission is to help you and your family live healthier lives by providing exceptional, safe cleaning services. You might not realize that your carpets are holding on to a ton of allergens, dirt, and dust that affects your home’s air quality. It’s important to make sure your home is cleaned the right way, using only safe, non-toxic products and effective, long-lasting methods. Chem-Dry of Columbia is here to make your home a cleaner, healthier place. Our carpet cleaners go the extra mile to make sure you’re getting the absolute best service, every time. 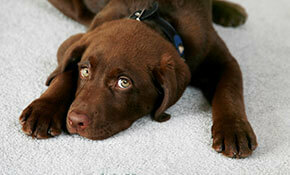 Chem-Dry of Columbia gives your carpets a deeper clean that lasts longer than steam cleaning. Our superior service and safe, effective cleaning method are why we’re chosen by over 10,000 homes each day. Chem-Dry developed an exclusive upholstery and carpet cleaning method called Hot Carbonating Extraction (HCE) that uses heated carbonation to extract more dirt and grime from your carpets – giving you that deep clean without using harsh chemicals or excess water. HCE works better than traditional cleaning methods and dries in just two hours. With steam cleaning, your carpets can take up to two days to fully dry and are often left with a sticky, soapy residue. With Chem-Dry, you won’t ever have to worry about mold or mildew growing beneath your carpets after they’re soaked through from steam cleaning. Instead, you’ll get a deeper, longer lasting clean that dries in two hours or less. Being environmentally conscious is important to Chem-Dry of Columbia, and we’re proud that our carpet cleaning method uses 80% less water than your typical steam cleaning service. There’s also no sticky residue with HCE, so your carpets will be clean, soft and ready to use again in just a couple hours. Our cleaning techniques get rid of an average of 98% or common household allergens – like dog and cat dander and dust mites – and 89% of airborne bacteria when our sanitizer is added to the process. Chem-Dry uses an all-natural, green-certified cleaner called The Natural®, which is non-toxic and doesn’t contain any soaps or detergents. It’s completely safe for your family and ideal for homes with kids and pets. Enjoy a cleaner, healthier home with Chem-Dry of Columbia. 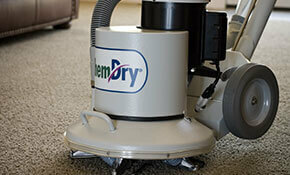 At Chem-Dry of Columbia, we’re experts in more than just carpet cleaning. 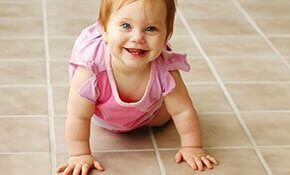 We also offer upholstery cleaning, grout and tile cleaning, area rug cleaning, and more. We specialize in identifying and eliminating pet urine odors, leaving every corner of your home fresh and clean. Got a particularly tough stain that just won’t budge? We’ve developed techniques to get rid of stubborn stains that aren’t responding to traditional cleaning methods. The Carpet and Rug Institute (CRI) awarded Chem-Dry with the CRI seal of approval for our innovative HCE system. The CRI seal of approval is only given to carpet cleaning companies that use safe, effective carpet cleaning solutions and get your carpet clean the first time. You can rest assured that you’re getting quality service with Chem-Dry. Chem-Dry has been committed to helping families live healthier lives since 1977. Chem-Dry of Columbia serves the Columbia, Lexington, and Irmo area, and our goal is to help everyone in our community have a cleaner, healthier home. Chem-Dry will clean your upholstery, carpets, and more in a safe, efficient, and environmentally friendly way, leaving your home feeling clean and refreshed. ISSUES WITH PET STAINS? NEED YOUR TILE CLEANED? *Minimum charges apply. Cannot be combined with other offers. *Not including stairs. Minimum charges apply. Cannot be combined with other offers.